If you miss this lumbar puncture Doc, I get to puncture you with my fist! This scene will be forever etched in my brain. 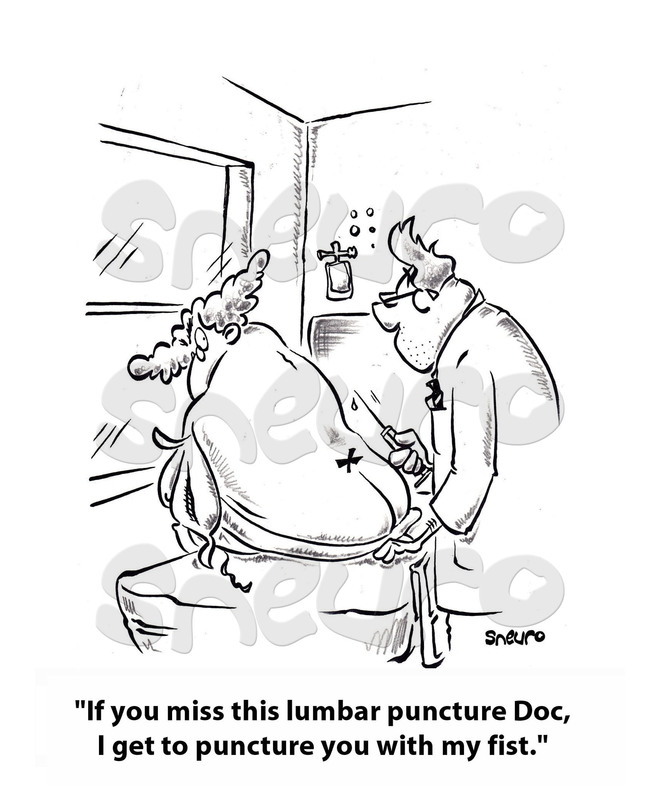 I received not one but 4 lumbar puntures to prevent leucemia. It’s a delicate and uncomfortable procedure. I’m not really complaining, the cancer team saved my life with these types of interventions. Three cheers for those dedicated cancer fighters at the hospital! Bravo!